MainAll NewsInside IsraelIs Labor's Avi Gabbay finished? 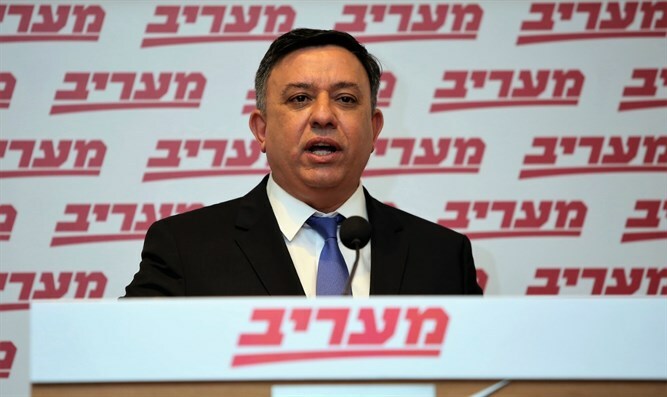 Labor party chairman Avi Gabbay is under increasing pressure to resign, following the party’s poor showing in Tuesday’s election. On Thursday, Eran Hermoni, the Labor party’s Secretary-General, joined the calls for Gabbay’s resignation, urging the party chairman to step down. Hermoni met with Gabbay on Thursday, telling the former environmental protection minister that he had to take responsibility for the party’s massive losses – and step down. “I made it clear to Gabbay that given the devastating electoral results, he has to take responsibility and resign immediately form his position as chairman of the Labor party,” Hermoni said, according to Channel 13. Earlier on Thursday, Labor MK Eitan Cabel blasted Gabbay over his failure to resign. "It's sad that we need to ask him apologetically to get up and resign," Cabel said in an interview with Reshet Bet. "In the business world, he would have been sent packing if he had brought a company to a situation like this." Labor MK Shelly Yachimovich, who led the party in the 2013 election, criticized Gabbay for vetoing a proposed alliance with the far-left Meretz faction. “I think that not running with Meretz or even examining the possibility seriously was a mistake,” Yachminovich told Reshet Bet on Wednesday. Once Israel’s largest political faction and the heir to the Labor Alignment, which once netted a whopping 56 seats in the 120-member Knesset, the Israeli Labor Party fell to an all-time low of just six seats this week. That represents a loss of 13 mandates compared to its 2015 showing, when it won 19 seats out of a total of 24 on a joint ticket with Hatnuah. The party’s previous record low in an election came in 2009, when Labor won just 13 seats.